We offer opportunities for touring The Little Brown Church to both individual groups and Motor Coach Tours. The pastor enjoys giving tours of the church building and sharing some of the unique history of the Church, The Song “The Church in the Wildwood” and sharing insights into the current ministry of The Little Brown Church in the Vale. e-mailing info@littlebrownchurch.org to insure the Pastor or a Guide will be available. The church is basically open from dawn to dusk each day and is open to all that desire spending time in the Sanctuary absorbing both the historical aspects, admiring photos and short historical notes on display or to spend time in prayer, we are first and foremost an active church! All are welcome to attend our Sunday morning Worship Services that begin at 10:30 a.m. and are preceded by a sing-a-long starting at 10:15. 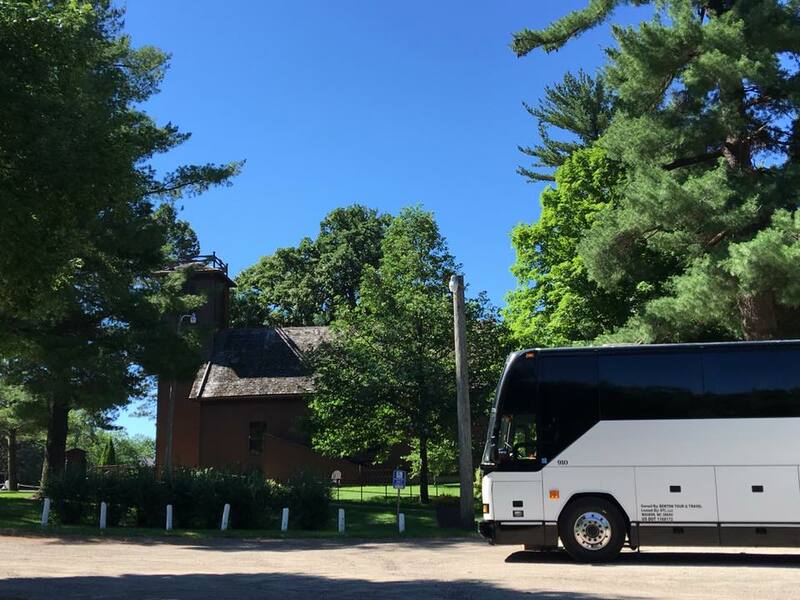 Our Motor Coach tours take approximately an hour and include the history of the church, wedding stories, a tour of the building, the singing of the church song and perhaps a surprise or two. If you have a pianist in your group, they will be invited to accompany the singing. There are a variety of small souvenirs available at the church. We can arrange for rolls and coffee for a small fee if you request this service or our Women’s Fellowship will provide a meal for your group with an advanced notice. Special Note – Bus Tours – We have a large parking lot to the North of the church that is available.